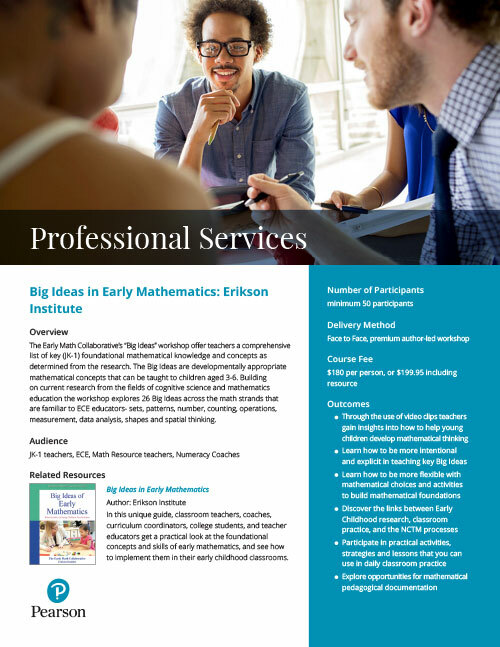 The Early Math Collaborative’s “Big Ideas” workshop offer teachers a comprehensive list of key (JK-1) foundational mathematical knowledge and concepts as determined from the research. 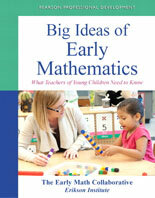 The Big Ideas are developmentally appropriate mathematical concepts that can be taught to children aged 3-6. Building on current research from the fields of cognitive science and mathematics education the workshop explores 26 Big Ideas across the math strands that are familiar to ECE educators- sets, patterns, number, counting, operations, measurement, data analysis, shapes and spatial thinking.